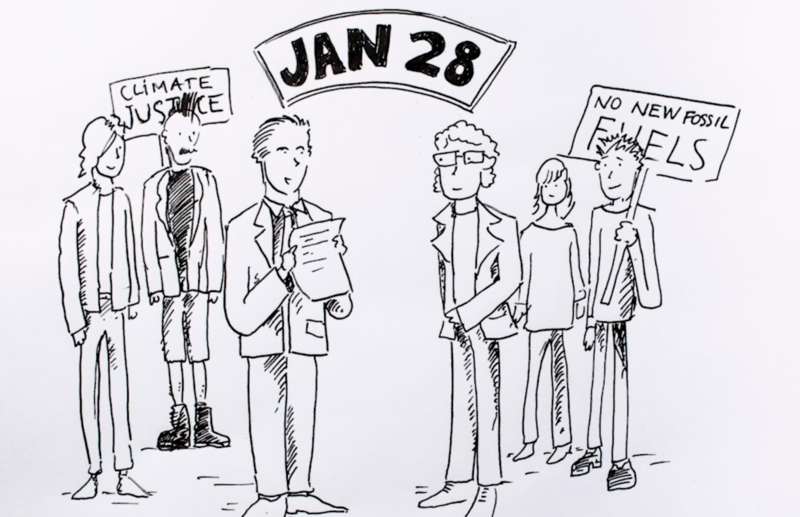 From Davos to Mpumalanga, here's the latest Fossil Free News. If you want to keep receiving updates like this every 2 weeks, make sure you sign up for Fossil Free News. As the Davos World Economic Forum kicked off in Switzerland, Oxfam published a new reminder of the scale of inequality we must address: just 26 billionaires now control 50% of the world’s wealth. Greta Thunberg and Christiana Figueres, the former UN climate commission chief, were there urging strong climate action from world leaders. But Greta’s climate strike at Davos was outshone in Brussels, where an astounding 35,000 youth took to the streets Wednesday, and 70,000 came out Sunday. And in Berlin on Friday, as the German coal commission neared an agreement on how to phase out coal in the country, thousands more students held a strike outside the meeting demanding an end to fossil fuels. Germany’s deal sets a 2038 end date for coal, but it’s not ambitious enough. 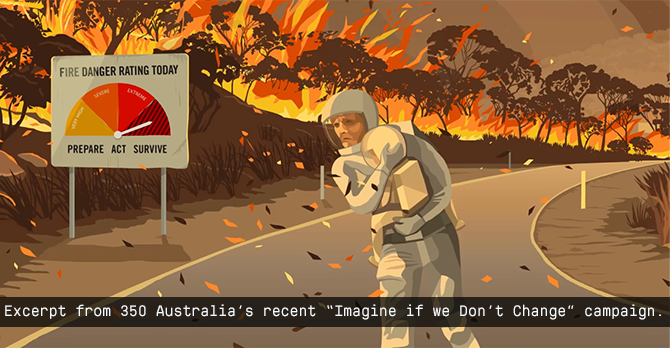 In Australia, ferocious heatwaves have driven home the urgency of the fight to keep global warming below 1.5˚C. Temperatures have neared 50˚C (122˚F) in some parts of the country, with bushfires tearing through more than 63,000 hectares of Tasmania’s natural landscape. Australians have been urged to stay indoors and stay hydrated, with communities coming together to look after local wildlife and check in on elderly and vulnerable neighbors. People are vowing to take action now to avoid this becoming the new normal. If you haven’t seen it yet, this clip showing the dried outback that’s making farming nearly impossible has gone viral. 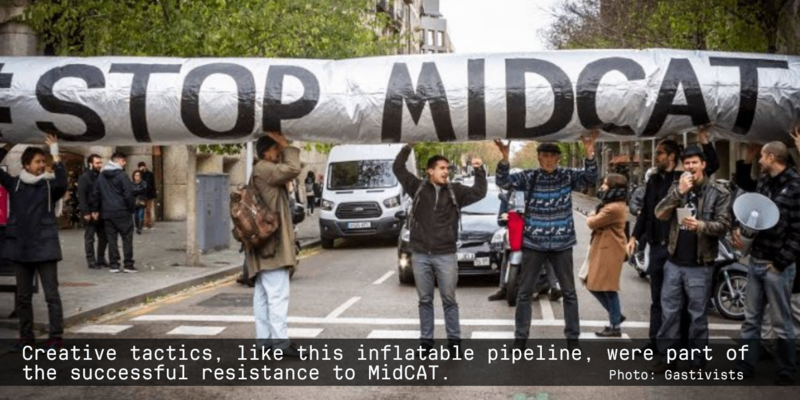 In Spain and France, communities celebrated as a major gas pipeline through the eastern Pyrenees, MidCAT-STEP, was scrapped after years of grassroots resistance. Groups pressured local authorities along the pipeline route, among other tactics, until energy regulators finally rejected it. It’s a big win for activists across Europe who are challenging the fossil fuel industry’s notion that gas is needed as a “transition fuel”. The decision has even motivated the European Investment Bank to reconsider its policy to fund other gas infrastructure “projects of common interest” in Europe. They’re right to reconsider. The region where the dud pipeline was planned is already leading the way in community renewable energy projects; investment would be much better spent on projects like these than more fossil fuel infrastructure. Hopefully the win can inspire others resisting gas infrastructure elsewhere right now, like the Tuxpan-Tula pipeline in Mexico or gas extraction plants in Zanzibar. In South Africa, a coalition of environmental justice groups is blocking plans for a new coal mine in a protected wetland area in Mpumalanga. The company behind the mine, which would have a 15-year life span and exacerbate the effects of climate change in one of the world’s most sensitive regions, had their request to appeal the coalition thrown out by a High Court and were ordered to pay the groups’ legal costs. Further north, in Kenya, there’ve been positive reports of new solar projects on the way, following the president’s announcement last month to move the country towards 100% renewable energy. 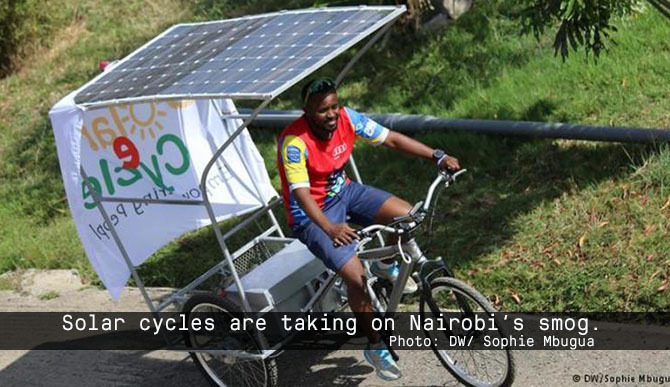 They’ll also have to tackle pollution from motorcycles in the capital Nairobi; solar-powered bikes can help fill the gap. – One of Sweden’s main pension funds dropped coal and oil sands, alongside tobacco and nuclear weapons. – In hopes of inspiring other communities to do the same, St. James Episcopal Church in Connecticut divested from all fossil fuels. A major aim of campaigns to go Fossil Free is to stop and ban all fossil fuel infrastructure. In King County, Washington, the county council just passed one of the strongest fossil fuel bans in the country. It works with a moratorium on all new development and then leverages land use code to effectively ban infrastructure, like storage tanks or refineries. In this interview with 350 Seattle, learn more about how the community developed broad-based support for the ban and brought it to the local government (and check out the awesome video explainer too). Bans like this have also been passed in other communities in the region, and are helping secure a healthy climate future for all. In the Netherlands, a local group of artists has been staging powerful performances at cultural institutions to pressure them to break their ties with fossil fuel companies, namely, Shell. And they’ve been winning – following an amazing campaign consisting of six performances throughout 2017 and 2018, culminating in an art storm, the Van Gogh Museum ended its 18-year sponsorship with Shell, and two other museums in The Hague quickly followed. The group has announced that its next target will be The Concertgebouw (Concert hall). The Concertgebouw is the last cultural institution on Amsterdam’s main museum square, the Museumplein, with a fossil fuel sponsorship. Watch and share their performance for a Fossil Free Museumplein.